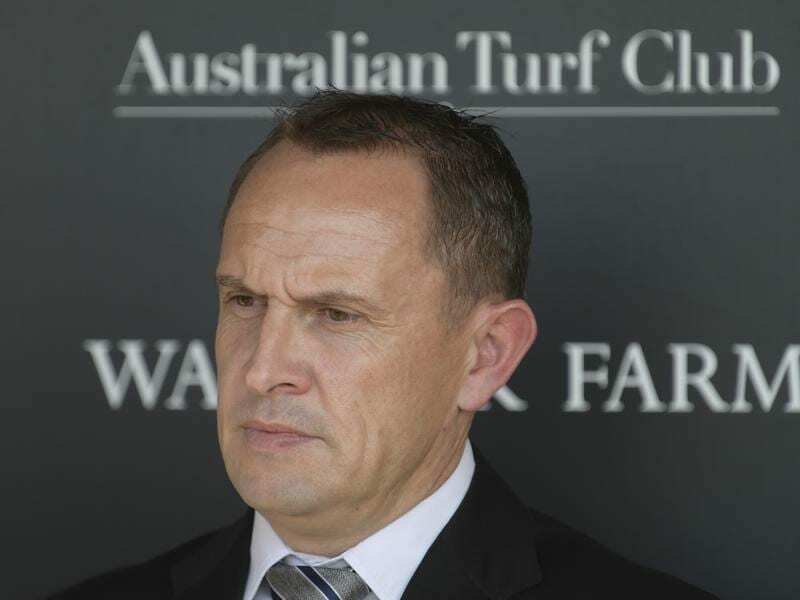 Premier Sydney trainer Chris Waller has begun the new season with four winners at Warwick Farm. Chris Waller has begun the new Sydney season at Warwick Farm the same way he signed off on the last at Rosehill with four winners on the program. Waller’s quartet on Saturday took him to a Sydney record 189 metropolitan winners, 20 more than the previous standard he set two years earlier. The eight-time premier trainer wasted no time on Wednesday, winning the first race of 2018/19, and the first Sydney race for the newly turned three-year-olds, with Charge who races in the colours of Qatar Bloodstock. Ridden by James McDonald, Charge ($2.80 fav) beat stablemate Altair ($4) by 3-1/2 lengths in the 1100m-maiden. “We purposely brought him back a bit early to try and give him a bit of confidence,” Waller said. “I think the sky’s the limit for a horse like this. I won’t say how far he’ll get because I certainly don’t know. Formerly trained in New Zealand by Kevin Myers, Follow Suit claimed his third Australlian win and third at Wariwck Farm in the 2200m handicap. Carrying 60.5kg, Follow Suit ($4.60) beat the Waller-trained Cormac ($3.50 fav) by 1-1/2 lengths. Both are in the field for a 2400m-race at Randwick on Saturday in which Waller has all but one of the 11 runners. Sweet Scandal and Impasse completed the stable’s winners. Gai Waterhouse and Adrian Bott signalled they had a spring prospect with Ready To Prophet who was a 2-1/4 length winner of the maiden for three-year-old fillies. Ready To Prophet was disappointing on debut at Canterbury on July 4 on a rain-affected track. “A few things went wrong at Canterbury and I don’t think she liked the ground,” jockey Tim Clark said. “She was very impressive today and it was nice to see her produce that.